Getting pregnant with my son was not planned. And, being a mother wasn’t a choice. I got with my son’s father and after 3 months I was pregnant. We went to the hospital because I was having really bad stomach pains and throwing up. They did tests and came back and told me that I was pregnant. I couldn’t even explain the type of emotions I was having. Especially because I was still using at times. 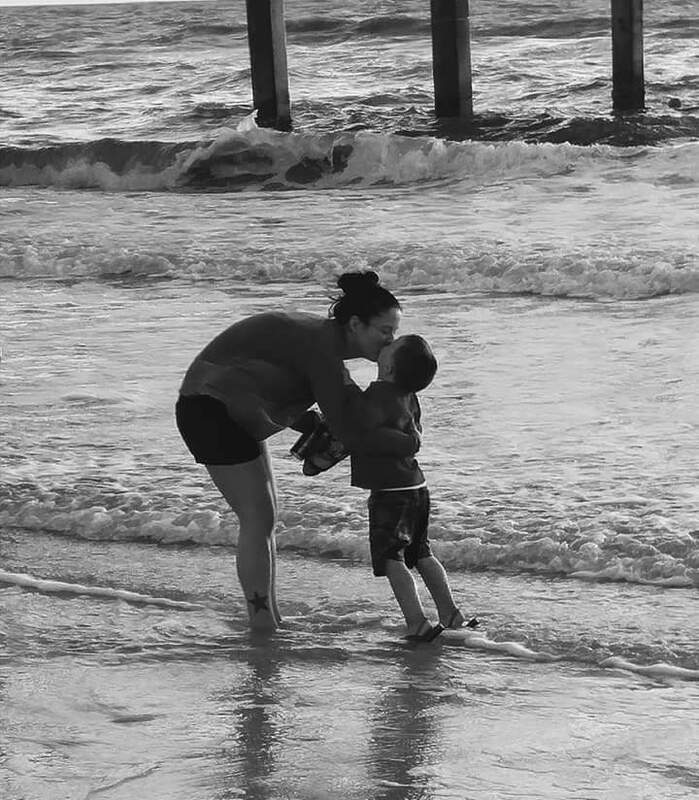 Once I found out I was pregnant with my son it was a lot easier to stop. I had already stopped doing it as frequently when I got with my son’s father. The thoughts I had throughout the pregnancy were up and down. At first I was like I don’t think that I am in any condition to raise a child. And then I was very excited to have a family of my own, with my son’s father. My pregnancy was exhausting. Several times I was hospitalized for dehydration. Once I had my child and held him in my hands I knew what unconditional love felt like. Once I looked my son in the eyes I knew that I had made the right choice. Everything was going good for a while, but I started building a resentment against my son’s father. He wasn’t helping much with my child. After about a year or so when I stopped breastfeeding my child I started to use drugs again. That’s when I felt like I was incapable of being a good mother. I slacked on teaching my kid some things that I should have been teaching him. I was there when he started walking, crawling, eating regular Foods. But I wasn’t actually there in the moment. The drugs were consuming me. And many times I thought I could quit for the sake of my kid and I just couldn’t. I love my child and he was very important to me but he still couldn’t stop me from using. My child went through a lot because of me. I brought him with me on drug deals and drug dealers houses and so on and so forth. I went through that Insanity for a couple years in my kid’s life. I went to Ace in 2015, and that’s when Ayden started staying with Justin, his father, regularly. I figured once I graduated I would be able to get my son back. When I did graduate Justin actually started letting me take him regularly to where I was staying because I was staying clean. I started to see where I slacked with being a mother, and the things that I should have been teaching my son. I opened my eyes to how much this kid has grown, and it was amazing. I thought that that was going to be my chance to be a real mother. After about 17 months I went back out for a few months. I felt like I had given up on myself and my kid. After the insanity of a few months I came to a transitional house because I knew it was time to surrender. I was sick and tired, but I was also emotionally less. My son was doing all these great things and growing through milestones in his life around that age, and I felt like I just couldn’t enjoy them because the drugs had made me feel nothing anymore. My son’s father kept my son from me for almost 2 months. My heart felt as though it was broken into pieces. When I started seeing my son again that love filled the void that I had. And I opened my eyes and realized that I was putting him through what my mom put me through. I was introducing him to the chaos I had in my life at such a young age. In the past year we went through some battles. My son got diagnosed with absence seizures, and since being diagnosed we’ve been to a couple appointments for testing. I realize that I’m not a bad mother. I’ve just made bad choices. Today I’m able to be here for my son. I’m able to recognize his growth and be there and cheer him on when he notices the accomplishments that he has made. I was able to be there for my son this past weekend when he swallowed batteries. I was actually able to drive him to the hospital to find out what was wrong and then stay the night with him and make sure that he was okay. Today me and my son have a lovable connection. He’s such a lovable kid and very smart. I get to be there a hundred percent today and In the moment. I’m not continuously ditching my responsibilities as a mother to go get high. My son starts kindergarten very soon and I get to be there to send them off to school on his first day. Now back to what I said about I didn’t choose to be a mother, but I’m sure glad that I am Ayden’s mom today. I couldn’t even begin to explain the unconditional love that we have. And that’s a blessing all in its own. Being a parent isn’t always fun and games it comes with responsibility, stress, and other factors. But being able to teach this little human being that came from me and watch him grow into such a handsome well mannered young man makes it well worth it. My name is Lauren, and I am an addict.